This is our longest route. We will go along the coast from km 2 to approximately 12 km, where we will enter through the Tomas Maestre canal, until we reach the Mediterranean Sea. Direction towards Torrevieja we will pass by several interesting islands and we will be able to see incredible views. 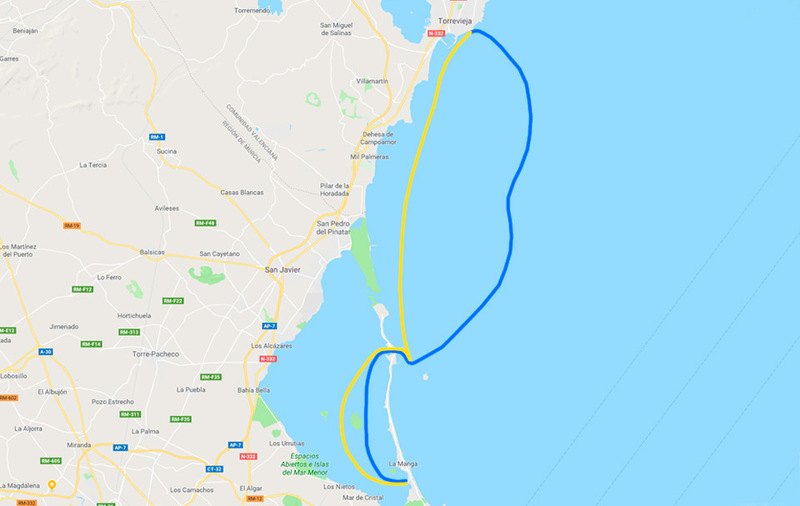 We will cross the entire coast passing by San Javier, Pilar de la Horadada, Campoamor, Zenia until we reach Torrevieja, where we will stop for lunch (optional). On the way back we will be able to take a swim in the open sea. You control the speed, this experience is unique and personalized.